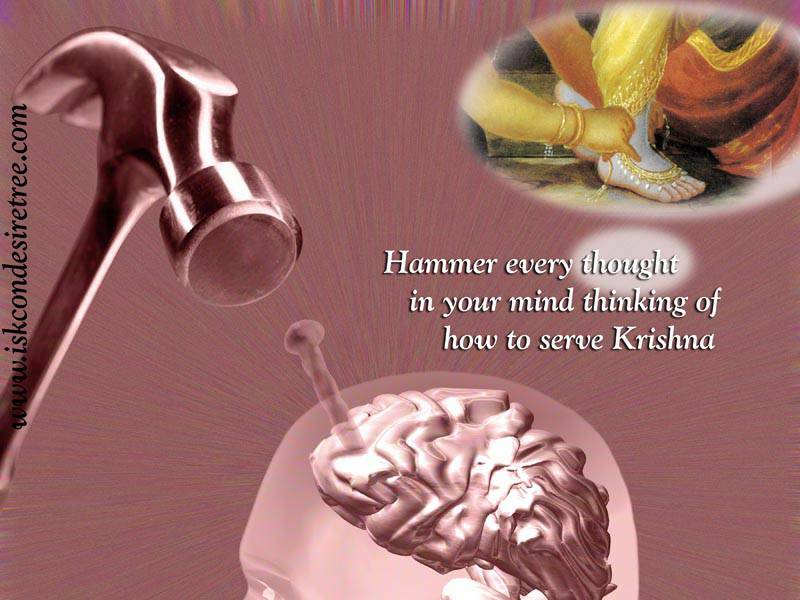 Hammer every thought in your mind thinking of how to serve Krishna. Keep your mind under captivity of remembering Lord Krishna. 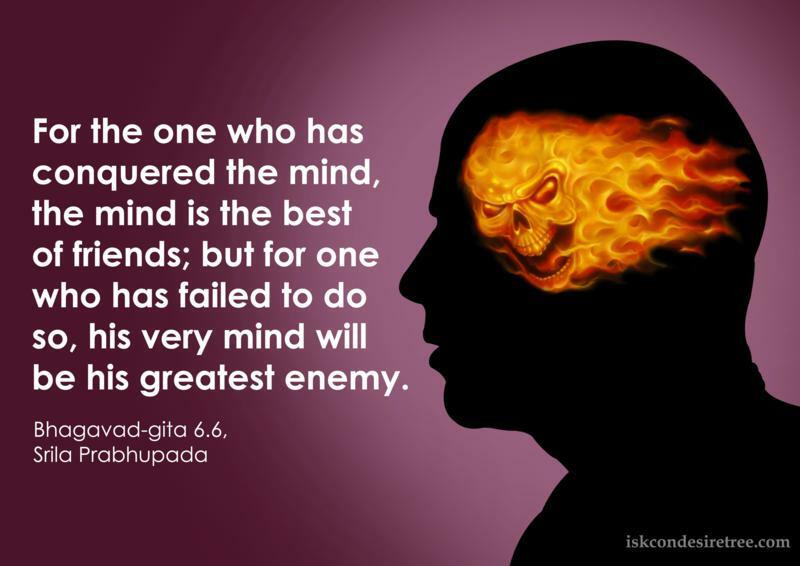 For the one who has conquered the mind, the mind is the best of friends; but for one who has failed to do so, his very mind will be his greatest enemy. 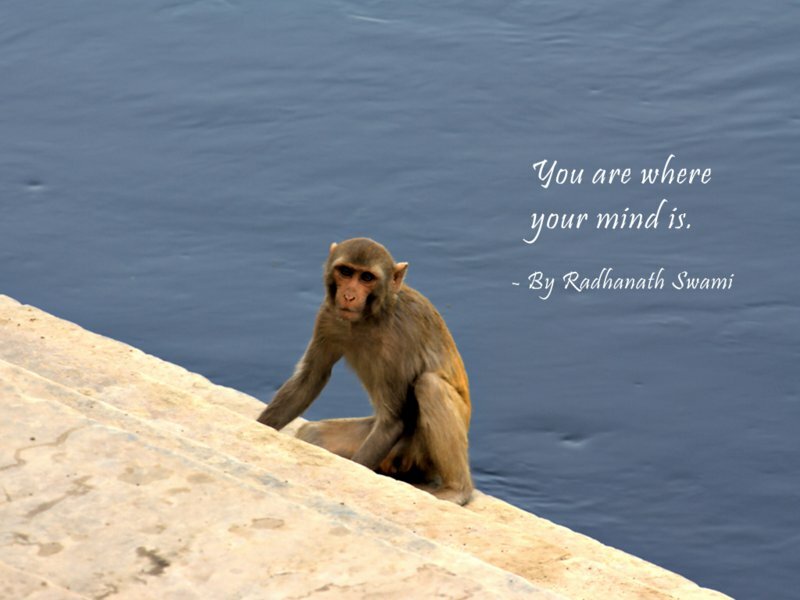 You are where your mind is. Unless one's mind is at least somewhat peaceful one cannot even begin to think about spiritual subjects. 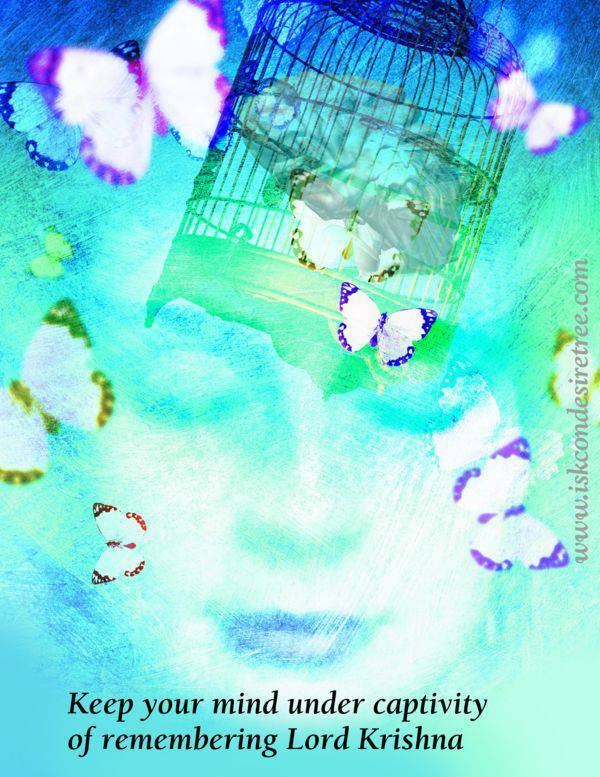 Mind is seat of senses, to control mind is very important aspect. We need to understand our duty to train our mind. We need to discriminate and we need to chastise the mind sometimes, we need to distinguish what is bhakti and maya.